Weight is holding steady at 180.5 pounds this morning. I’m still dieting, but I’ve decided not to be so hard-core. I lost about 10-11 pounds in about 5 weeks. While my methods were effective, they also made life quite miserable for a while. 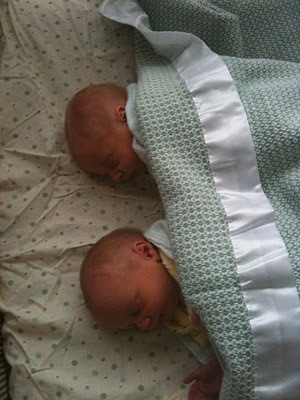 Reader Mark has a blog where he writes about funny stuff his son says and he also posts lots of cute pics of his brand new twins. Jeff Opdyke from the Wall Street Journal found out his son’s favourite sport isn’t soccer. A great read – I suspect that I’ll be writing something similar in 10 years. Ellen Roseman thinks it is ridiculous that the financial industry is expected to help with financial education. Rob Carrick says that more disclosure from financial companies would be educational. Gail Vaz-Oxlade knows the key to financial literacy is being able to reach the right people. Mike Piper had a good post about protecting your private computer files. This is good to know – if someone steals your computer, they will have access to any unprotected data on the hard drive. Naked Capitalism wrote about the specious logic of Wall Street pay. Ted Rechtshaffen wrote about how to deal with the sequence of returns problem in retirement. Michael James says that most investors have a mental block on RRSPs. Very good article and very true. Young and Thrifty compares TFSA vs RRSP accounts. Million Dollar Journey has an ETF primer. 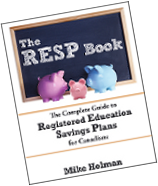 My Own Advisor wants to know how much people in their 30’s are contributing to RRSPs. Boomer and Echo says it is tax time. Oh goody! Canadian Capitalist wonders why some government benefits are not being claimed. I think the government should do more to make sure this doesn’t happen. Larry MacDonald talks about the T1213 form and how it can improve your cash flow. 7 Money Traps to Avoid — There are plenty of pitfalls that can result in wasting money instead of getting the most out of it. Make sure you are avoiding the following 7 money traps. 6 Wealth Building Strategies While Living Paycheck to Paycheck — In order to ensure your future financial house is in order and that you can retire more than comfortably, here are the 6 most common strategies for building wealth that everyday people can incorporate into their existing financial practices. Netflix Free Trial Offer. You can get a free one month trial to Netflix if you are a new customer – great way to save some money! IRS E-File Refund Schedule. The IRS publishes a schedule for when it will send out refunds for those who E-Filed their federal tax return. Thanks for the mention Money Smarts 🙂 I’m excited for tax time too- eagerly waiting all my slips to come in. Those are indeed cute babies! Twins to boot! Thanks for the mention Mike. Those pictures are cute, makes me realize that trying for another one can easily lead to a twin surprise! I was going to say “congrats on the twins Mike!” but then realized you didn’t actually state that the little ones in the pic are yours! But congrats if they ARE yours!!!! Anyhow, thanks for the links – I missed some of these. The one I missed was Retire Happy blog and I love the irony where Y&T’s analysis (which will be in our weekend reading tmrw) is 3 posts about Retire Happy’s. Got a chuckle outta me. Thanks for including me as always. I did say that but not quite the same way. I’ve found that my weight seems to jump around from day to day even if I weigh myself at the same time of day. Instead of your 180.5 I’d probably say something like 180 +/- 3. Makes me wonder what’s different about my body. Thanks for the mention. Thanks for mention. My sons favourite sport is computer games. Thanks for the Mention! Congrats! Y&T – Actually I am excited because I know we will get a big refund. Echo – I wouldn’t have minded having twins, although it would have been a lot of work. @MJ – So your weight varies by 3 pounds either way? In my case I’d say +- 1.5 pounds. @Ying – thanks. Link has been corrected.